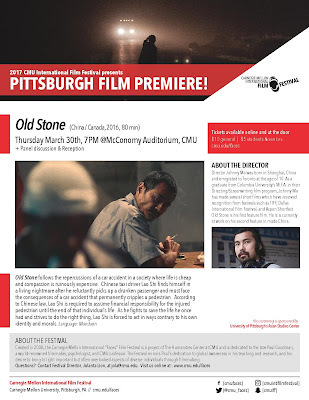 PennsylvAsia: Chinese-Canadian movie Old Stone (老石) at CMU International Film Festival, March 30. 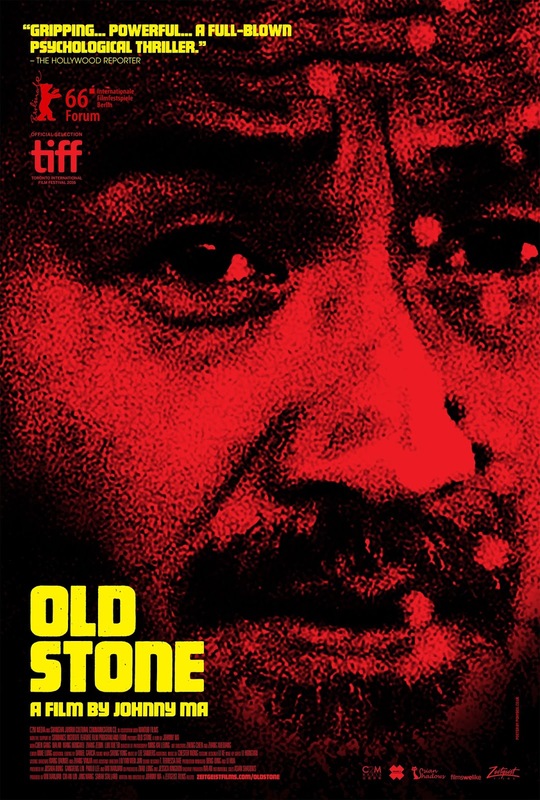 Chinese-Canadian movie Old Stone (老石) at CMU International Film Festival, March 30. The 2016 Chinese-Canadian film Old Stone老石) will play in Pittsburgh on March 30, part of the annual Carnegie Mellon University International Film Festival. Old Stone follows the repercussions of a car accident in a society where life is cheap and compassion is ruinously expensive. Chinese taxi driver Lao Shi finds himself in a living nightmare after he reluctantly picks up a drunken passenger and must face the consequences of a car accident that permanently cripples a pedestrian. According to Chinese law, Lao Shi is required to assume financial responsibility for the injured pedestrian until the end of that individual's life. As he fights to save the life he once had and strives to do the right thing, Lao Shi is forced to act in ways contrary to his own identity and morals. A panel discussion with Jinying Li, Assistant Professor of Film Studies at the University of Pittsburgh and Tae Wan Kim, Assistant Professor of Business Ethics at CMU will accompany the screening. The event starts at 7:00 pm in McConomy Auditorium in the Jared L Cohon University Center (map), and tickets are currently available online.